2. Steel frame,harden and black oxide finished,light weight and durable. 3. Cut and strip wire by one operation,easy but efficient. 4. 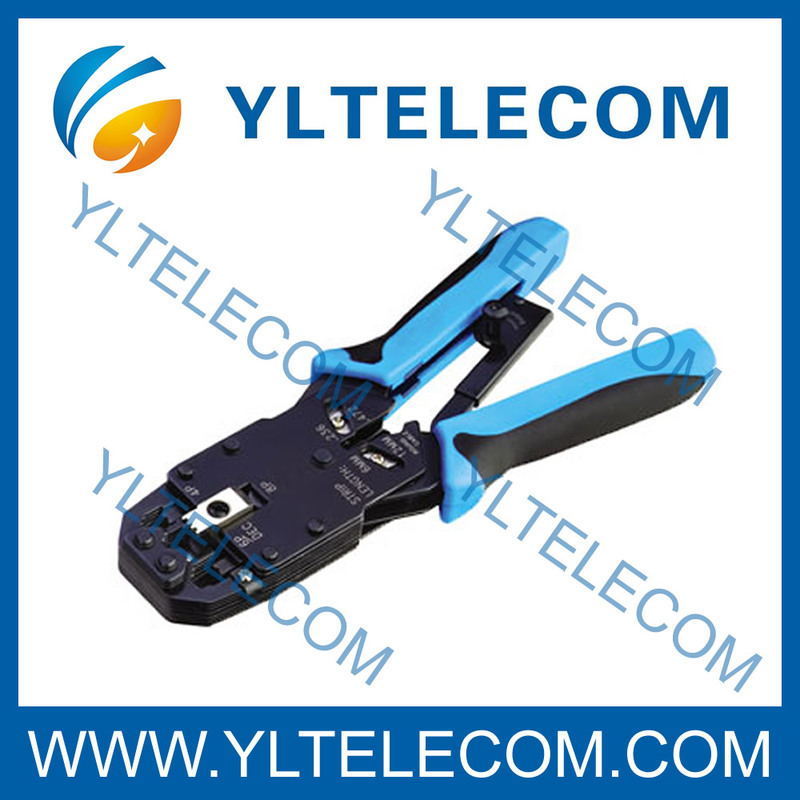 Multi modular plug crimping,stripping and cutting,three function in one tool. 5. 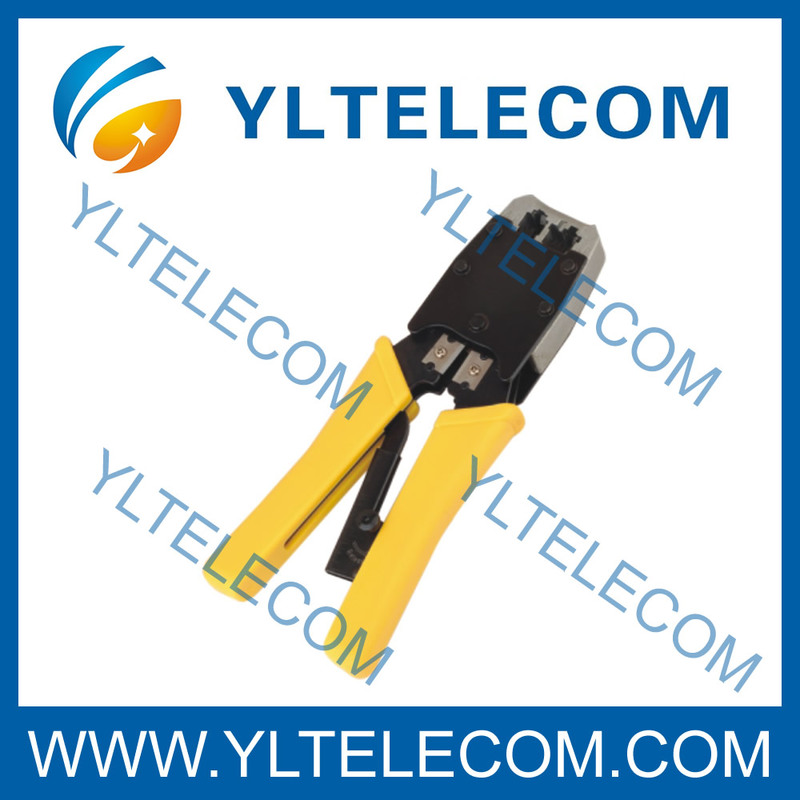 Available for 4P4C,6P6C Rj11 RJ12 modular,8P8C RJ45 modular,various function on option. 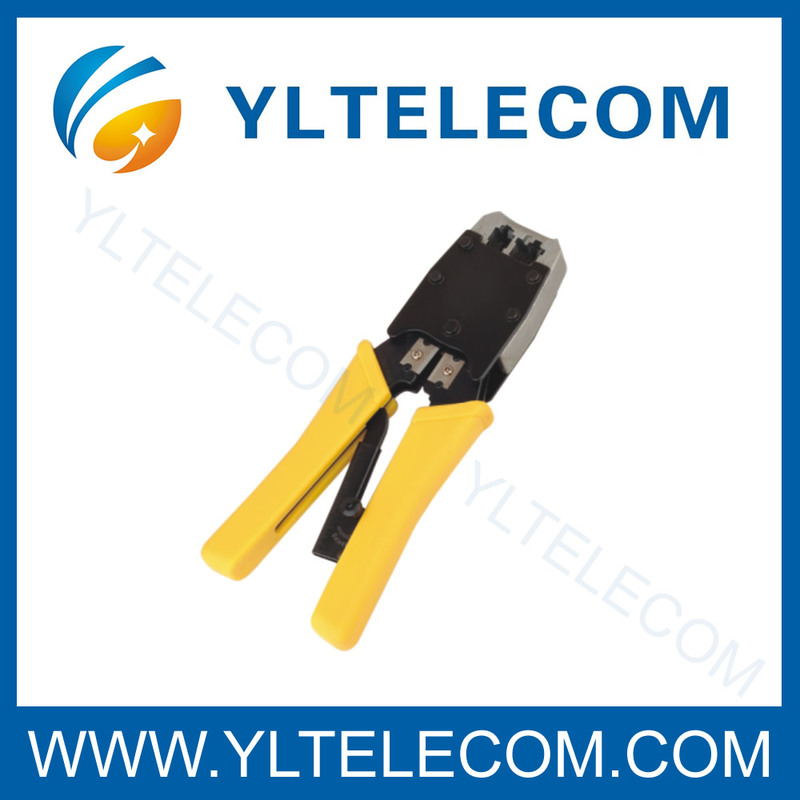 Available for 4P4C,6P6C Rj11 RJ12 modular,8P8C RJ45 modular,multi modular plug crimping,stripping and cutting,three function in one tool.Cut and strip wire by one operation. With pressure sensor and extracting hook to free wires for soldering, screwing and skinning in preparation for connection and at the same time cutting off any excess length. An IDC terminating tool for use on 10 pair Disconnection Strips 237A. It incorporates an extraction hook which assits in the removal of terminated wires. 64172055-01 KRONE LSA-PLUS RJ outlets. The networking tools we can offer including sort of insertion tools, impact and punch down tool (Ericsson punch down tool, Siemens punch down tool, Corning punch down tool and so on), crimping tool(RJ45 crimping tools, coaxial Cable Crimping Tool, picabond ratchet crimper), cable stripper and cutter, Cable Tester and connector removal tool, and so on. 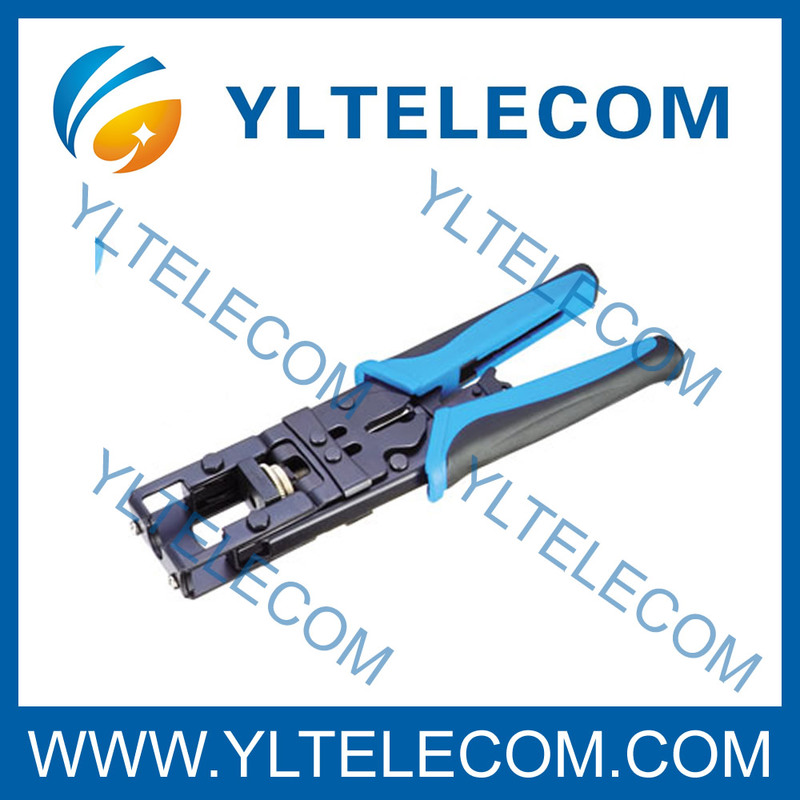 Looking for ideal Modular Plug Crimping Tool RJ45 Steel Crimper Manufacturer & supplier ? We have a wide selection at great prices to help you get creative. 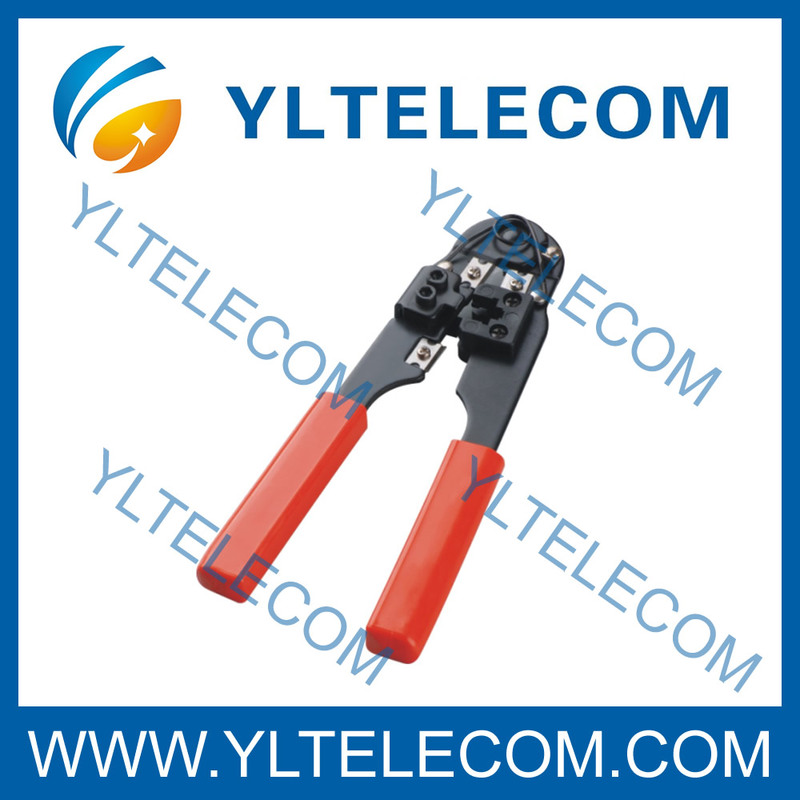 All the Modular Crimping Tools are quality guaranteed. We are China Origin Factory of Hardware Networking Tools For Sale. If you have any question, please feel free to contact us.